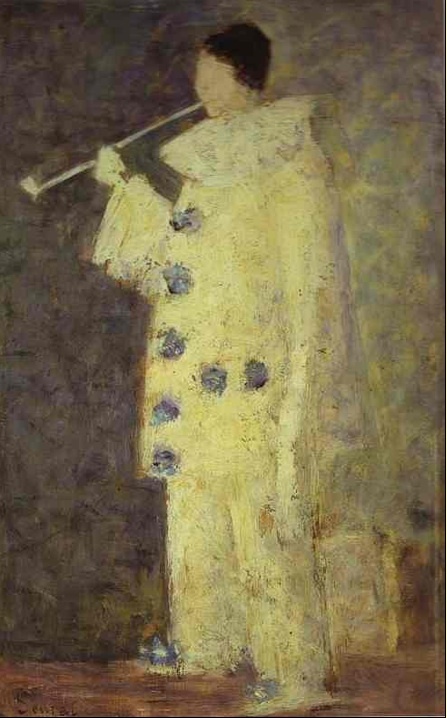 Georges Seurat (1859 – 1891) was 24 when he painted this image of a friend in a Pierrot costume. He hadn’t yet developed the severe pointilist method for which he is principally remembered, but the basis of it is here: the shapes are clean and simple, enlivened by repeated touches of color. 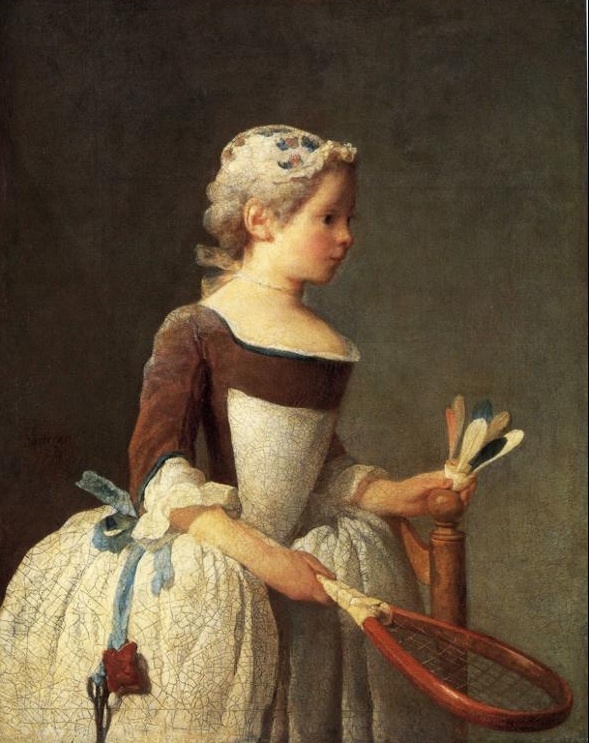 Compare with Jean-Baptiste-Simeon Chardin’s more conventional approach (below), in which the background is simply the ground color with a mottled application of the shadow tone. Another point of contrast is Seurat’s exceedingly restrained use of counterchange–the device of having the background go from dark to light in one direction, while the principal object goes from light to dark. The effect is to create a sense of space. But Seurat makes the darker side of his figure almost indistinguishable from the lighter side of his background. This way he gets the visual bounce from the contrast on the left, but has almost no depth of space at all. This keeps the whole image on one plane, and emphasizes the abstract quality of the shapes. He undermines depth still further by having the wall meet the floor right at the tip of Pierrot’s shoe. Picture that division at, say, the top of the blue bow. That would place the figure a foot or two out from the wall, and define the space for the rest of the image. As it is, the floor constitutes little more than a reddish stripe along the bottom of the composition, stitched to the rest by that foggy left leg.